Paul Pogba recently came up with a strange excuse when asked about Alexis Sanchez’s poor start to this new season. Manchester United pulled off one of the biggest transfers in January, when they managed to bring in Alexis Sanchez. But the Chile International hasn’t been able to perform well at Old Trafford since his big-money move from Arsenal. This season, Sanchez is yet to open his goalscoring account, and has provided only one assist in 5 appearances. The forward had a pretty average outing this weekend, as Manchester United were held to a 1-1 draw by newly promoted side, Wolves. Jose Mourinho is said to be concerned by the Chilean’s poor performances in recent weeks. Paul Pogba is another Manchester United player who been under fire, but the French midfielder has managed to shut his critics down by scoring 4 goals and providing 2 assists this season. 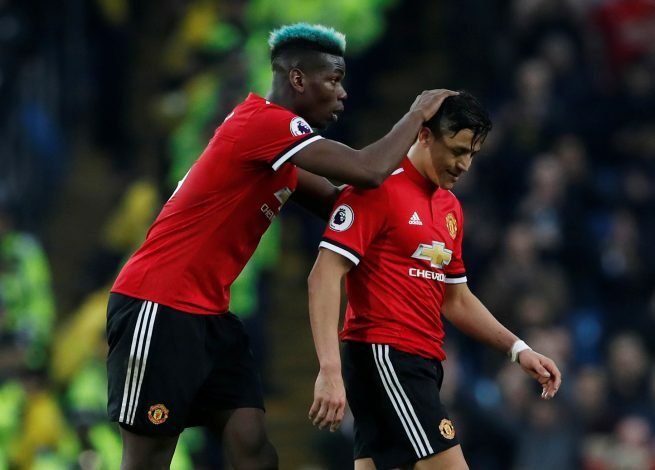 Reports suggested that Alexis Sanchez is finding it difficult to gel with his teammates at Old Trafford, but Pogba debunked those rumours in a recent interview, and revealed the real reason behind his fellow teammate’s poor form. “What you have to know about Alexis is that he is a hard worker,” said Pogba. “He trains very well, he always tries to help the team, talks with the team and everything. Paul Pogba’s comment doesn’t seem convincing, as Alexis has spent over three seasons in the Premier League, which makes the competition a familiar territory for the forward. Jose Mourinho’s playing style is different from what Sanchez was used to at Arsenal, but the wide-man has failed to break into opposition defences altogether on many occasions. The excuses and justifications as to why Sanchez isn’t performing upto the mark are drying up fast, and fans have continued to grow frustrated with their star man as each week has passed. The 29-year-old will now be hoping to find his form back when Manchester United begin their Carabao Cup campaign against Derby County on Wednesday.